Tiger Woods is known for his spectacular talent, prodigal wealth, and extravagant affairs. By contrast, Elin Nordegren, the Swedish woman who until an August 2011 divorce was his wife for nearly six years, has been characterized in public by her reserved demeanor and abstention from personal scandal, well, at least anything excluding the 2009 revelations that her famous husband had over a hundred extra-marital affairs. Aside from that headline-grabbing heyday, there’s been nary an indecorous deed to attribute to her. That’s why, when Nordegren decided to raze the $12 million mansion she purchased in March 2011 to rebuild a nearly identical home, tongues (and keyboards) started wagging. Was it not an obvious sign of an incorrigible frivolousness that had seeped into the blonde beauty’s soul after receiving the windfall that was her divorce settlement? That’s probably hard to prove, but what is known is that the demolished home was not up to current building codes in terms of wind-loads, or, in more common parlance, it might not have withstood the pounding of a hurricane. 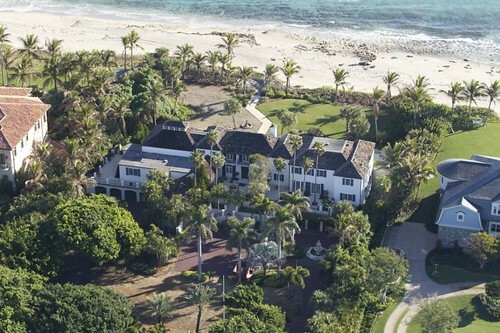 The land Nordegren bought is in Semiole Landing, an exclusive gated community of North Palm Beach, Florida, a mere ten miles away from Tiger Wood’s Jupiter Island residence. 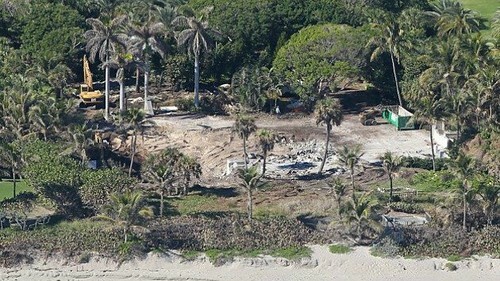 The new home, built on the same Semiole Landing beachfront location, will be a modern version of the impressive Colonial-style structure that was leveled in December. Florida’s Martin County’s Habitat for Humanity was given a month to rescue anything of value from the mansion before it was torn down. It was during this time that termite and carpenter ant infestations were discovered in the mansion. According to uncovered building plans, the Swede’s new house will have nine bedrooms, double kitchens and double living rooms, a pool, grotto, and two jacuzzis. 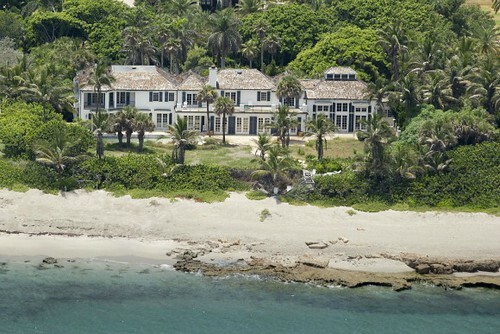 Nordegren will inhabit the completed home with her two infant children. After the divorce, Nordegren was given full custody of Sam and Charlie, the daughter and son she had with Tiger Woods.